This is all going tremendously well, isn’t it? 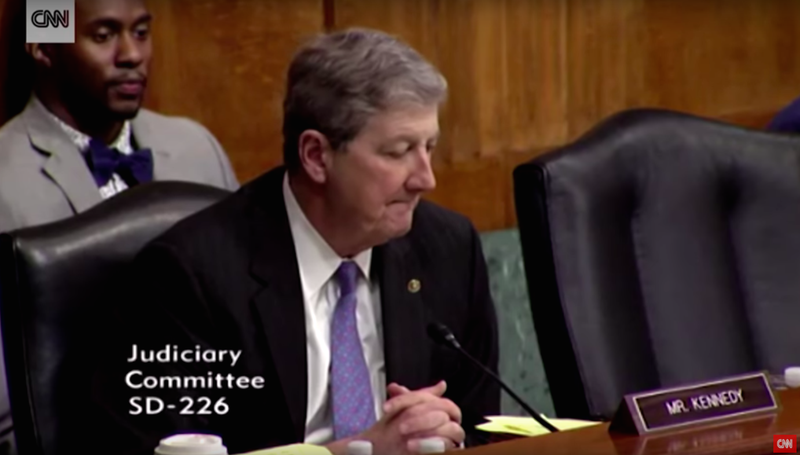 “I think the president of the United States is getting some very, very bad advice,” Sen. Kennedy said of Talley’s nomination, ostensibly referring to White House counsel Don McGahn, who oversees the nomination process. Matthew Peterson, the nominee being grilled by Kennedy in the video above, worked with McGahn at the FEC (where, by the way, they essentially kneecapped the agency, issuing “fewer disciplinary actions and fines at a time when 501(c)4s and super PACs flooded the political system with dark money,” according to Politico). So, who the hell knows?